German car manufacturer Volkswagen’s dream to become the number one car manufacturer in the world seems to be closer than ever before. Though not known by many, Volkswagen has a Spanish subsidiary Seat under its wing, which it hopes to introduce in the country by the looks of it. This would help VW to a large extent besides the fact that the company feels that unique styling and Western influence would ensure that this brand is well accepted specially by the younger generation of drivers in India. Mr. Christian Klingler, Board Member of Volkswagen said that VW is also ready to introduce Seat in China following which India will be the next possible market. VW sales have increased by 12.1% during the year but Seat growth has been comparatively slower at 2.3% hence the decision to add new markets to boost growth. 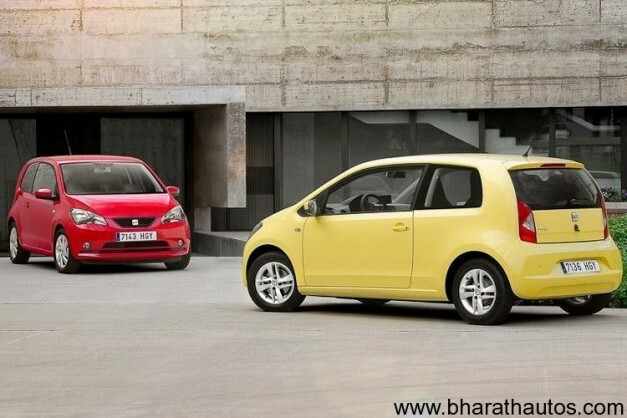 Volkswagen Up recently showcased at Frankfurt Motor Show will add to their profits while the Seat line up which is suited to Indian customers and its own version of Mii is hoped to increase market share and popularity of the brand in both the Indian and Chinese auto market. Next article2012 Fiat Linea & Punto, more details revealed!